Dubai, UAE; December 3, 2009: The Dubai International Film Festival (DIFF) 2009 has tuned into the shifting media trends by bonding with traditional as well as digital media with more than ten leading publishers, television channels and digital companies on board as Media Partners this year. In a path-breaking movie, DIFF 2009 has redefined its media outlook with a strong digital media component while continuing its partnership with print and audio-visual outlets. This year, DIFF has on board AMG; DMI; France 24; Good News Cinema; Gulf News; Ahlan! ; MBC; Google Youtube; Zee TV; E-Vision; Variety the international premier source of entertainment news; Emirates Neon Group and Orbit Showtime as media partners. “As is the norm at DIFF, we are moving in tune with the trends. This year too we have formed strong media partnerships, including new channels that reach out to a wider audience. DIFF is partnering with a good cross section of organisations, across all levels of media, to help us deliver our core messages regionally and internationally,” she added. DIFF’s media partnerhips also highlight the growing interest of the global media in the festival, which is now regarded as the most definitive film festival in the Middle East, Afria and Asia. Compared with 450 media registrations in the opening year, DIFF last year had 1,165 accredited media, from around the world, covering the event – an increase of over 150 percent. This has in turn translated to phenomenal growth in audience participation too – with the number of admissions growing by over 110 percent in the past five years. Now in its sixth year, DIFF 2009 is held in association with Dubai Studio City and will be held from December 9 to 16. Dubai Duty Free, Dubai Pearl, Emirates Airline and Madinat Jumeirah are the principal sponsors of DIFF and the event is supported by Dubai Culture & Arts Authority (Dubai Culture). For more information on the festival, please visit www.dubaifilmfest.com. Dubai, UAE; December 3, 2009: Share knowledge, build skills and give room to apply acquired skills – that is the essence of the Dubai International Film Festival Young Journalist Award programme held this year in partnership with MBC Group. Building on the success of the event last year, the DIFF Young Journalist Award significantly enhances budding journalists’ career development by providing students the opportunity to be mentored by subject experts and apply their skills in a realistic workplace setting. This year’s mentorship programme is led by Scott Macaulay, from Filmmaker Magazine and Producer, Forensic Films, and Colin Brown, formerly at Screen International and now at CNBC Business, who will provide specific and in-depth training to a select group of 10 students nominated by UAE-based universities. The main goal is to provide the participants real experience with feedback and tutoring from professional film critics and film journalists. Students will work as news teams, covering events and screenings from December 9 to 14, learning the skills of the trade and honing their journalistic awareness. Although the workshop is organized in co-operation with the film festival, the output from the participants will remain journalistically independent. The other key component of the programme is the series of open journalism workshops and panel discussions during the first three days of the festival. Topics covered include film review and criticism, film business writing, new technologies like blogging and film festival coverage. The workshops are open to students in the UAE who are currently enrolled in either journalism, film studies, PR or mass media and communications courses. Dubai Municipality inspectors, in cooperation with Dubai Police and the Dubai Naturalization and Residency Department, nabbed last month 206 persons including street vendors, beggars and illegal car washers. The sweep against the law-breakers had also resulted in the seizure of several low-quality goods and pirated CDs. A total of 848 inspections were made during the month of November, out of which 480 inspections were scheduled ones and 184 were random checks. Civic inspectors conduct daily spot checks in streets and public places to prevent street vending, begging and car washing in public places by individuals in violation of a ruling by the Ministry of Labour in this regard. Inspectors at the Control Unit of the Markets Administration Section in the Assets Management Department carry out regular checks to book the violators. In November 2009, they caught a total of 206 people including 123 street vendors, 26 beggars, 31 car washers and 26 illegal butchers and fish cleaners. A total of 967 counterfeit products including ready-made garments, perfumes, cameras, and watches that were fake international brands were confiscated. Also, some 3,971 DVDs with pirated films, 143 pornographic movies, in addition to 300 foodstuff items including boxes of fruits and vegetables were seized last month. The law-breakers, who belong to various nationalities, would be handed over to the Dubai Naturalization and Residency Department for deportation in coordination with Dubai Police. The seized goods would be destroyed and disposed off safely after legal actions were taken against the violators. The public is urged to call the Municipality on the toll-free number 800900 round-the-clock to report such illegal activities. Kuwait, October 28, 2009: Alshamel International, the leading Kuwait-based travel management company today revealed the company’s commitment to invest in expanding its IT and network infrastructure. Alshamel International has partnered with leading technology giants including HP, Microsoft and Cisco to streamline communications and effectively connect its employees, clients and travel agents throughout the region. Dalal Al Dousari, Vice Chairperson of Alshamel, commented: “This investment will have positive impact on all of Alshamel International’s operations. We are seeing rapid and healthy growth and it is our commitment to provide our customers with seamless access to our services. We are looking forward to this technological expansion which allows our employees, clients and travel agents to benefit from Alshamel International’s vast portfolio of services. Our aim is to support our growth by offering our technology with expertise to the travel sector across the region. Alshamel International has also partnered with PCSG to cater to the travel specific requirements and back office booking information, making it accessible and visible to all users across the network. Alshamel International will also cater solutions to the travel specific requirements and back office booking information, making it accessible and visible to all users across the network. Ever since its inception in 1996, Alshamel has been constantly adapting new technologies and innovative services, helping consumers and corporate clients optimize their travel requirements making it the most successful Travel Management Company in Kuwait. Dubai Municipality on Tuesday launched a breast cancer awareness campaign for its employees in coordination with the Dubai Health Authority. The campaign, organized at the Municipality main building, is aimed at educating the female employees of the Municipality on the diseases of cancer, its methods of treatment, ways of prevention, healthy foods appropriate for patients with tumours, the extent of effectiveness of healthy food and its impact on the body along with an explanation on the methods of self-examination. Fahima Ali Saber, Head of the Public Relations and Protocol Unit in the Corporate Marketing and Relations Department at Dubai Municipality said that the campaign was a result of the Municipality's keenness on the health and safety of its staff, particularly female employees. The campaign included several activities designed to increase awareness on breast cancer. Educational workshops were held that gave adequate information about the disease, particularly by highlighting the importance of self-examination, which contributes to the early detection of the disease. This was done through the presentations using models. Campaign brochures on self-examination steps and other educational materials were also distributed. The lecture, held as part of the campaign, shed light on the types of cancers in general, especially breast cancer, its symptoms, genetic factors, type of food, daily life styles and ways of prevention. Sabir, said the success rates are better if the disease is detected in the early stage than discovered in the late stage. "This month has been selected to launch the campaign because it is the month of global awareness and early detection of breast cancer." DUBAI, U.A.E., 25th October 2009 - Emirates is extending its seating capacity out of Manchester in the UK - but not with aircraft - with sumptuous leather armchairs in its newest dedicated airport lounge. The 147-seat facility at Manchester International Airport is the latest push by the Dubai-based airline to provide exclusive lounges for premium passengers at key airports across its network. Mohammed Mattar, Emirates’ Divisional Senior Vice President Airport Services, who attended the official opening ceremony on Thursday, said: “We’ve invested more than a quarter of a billion dirhams on fantastic lounges across the world – these sanctuaries really provide that home from home feeling that is so important to our passengers. Coupled with Emirates Chauffeur Drive, dedicated check-in counters and priority baggage handling, the Emirates Lounge is central to our seamless premium product." The 9,429 square foot Manchester lounge first opened its doors to passengers on October 1st, and has already received rave reviews from premium travellers. The Emirates Lounge has floor-to-ceilings windows, offering passengers spectacular views across the airport’s runways. Passengers using it can enjoy an extensive menu of complimentary hot and cold gourmet dishes, accompanied by a full bar service, as well as Emirates’ trademark attentive service from its dedicated lounge staff. The lounge also features a business centre, with computer workstations and laptop workstations, each with complimentary broadband and wireless LAN access. Seating is provided for 147 passengers, with a large number of luxury leather armchairs available and a plasma screen showing the latest news and lifestyle programmes from a selection of global channels. Full shower facilities are also on hand. The Emirates Lounge is located in the departures area of the airport’s Terminal 1, and is open to Business Class passengers and Gold Skywards members travelling on one of its two non-stop daily flights from Manchester to Dubai and beyond. In addition to Manchester, the airline offers dedicated lounges in Brisbane, Melbourne, Sydney, Perth, Auckland, Bangkok, Dubai, Mumbai, Dusseldorf, Frankfurt, Hong Kong, Kuala Lumpur, London Gatwick, London Heathrow, Munich, New York JFK, Paris Charles de Gaulle, Johannesburg, Singapore, Beijing and Zurich. More lounges are due to open in 2010 including one at Birmingham International Airport. Dubai, October 25, 2009: Dubai Multi Commodities Centre Authority (DMCCA) announced today that Thailand-based plastic resin trading company – SCG Plastics Co., Ltd., will begin operations from Almas Tower as a DMCC-registered company, following the DMCC license in April this year. A subsidiary of SCG CHEMICALS, Thailand’s leading integrated petrochemical company, SCG Plastics will use the DMCCA’s Jumeirah Lakes Towers (JLT) free zone in Dubai as its Middle East base to further develop and establish new regional business opportunities, reinforcing the emirate’s growing importance as a hub for energy and petrochemical companies. SCG Plastics is the marketing arm for polyethylene and polypropylene products for SCG CHEMICALS, which manufactures and supplies a full range of petrochemical products from upstream to downstream. SCG CHEMICALS is one of the largest integrated petrochemical companies in Thailand and a key industry leader in the Asia-Pacific region. “Almas Tower represents the newest hub for commodity trading in the Middle East, and we are pleased to welcome SCG Plastics to DMCC and Dubai,” said Ahmed bin Sulayem, Executive Chairman of DMCC. “The Middle East is a major producer and exporter of petrochemicals and plastics, and presents enormous expansion opportunities for companies like SCG Plastics. In addition to Dubai’s geographical advantage, world-class bunkering facilities and infrastructure; DMCC’s free zone facilities will prove to be an attractive value proposition for energy companies to establish their base here. Purpose built and headquarters to the JLT free zone, Almas Tower caters to the specific needs of the commodities industry, accommodating hi-tech security systems and industry-specific infrastructure for its occupants. DMCC offers resident companies highly attractive benefits, including a 50-year guaranteed tax holiday, 100 per cent business ownership, and full ownership of business premises under a free zone status. The JLT Free zone is currently home to over 1,800 licensed companies, ranging from commodities to legal, information technology, management consultancy, marketing, medical, tourism and architecture. In addition to being a commodities and energy hub in the region, DMCC also offers a a conducive business environment all types of other licensed activities within its Jumeirah Lakes Towers Free Zone. Eng. 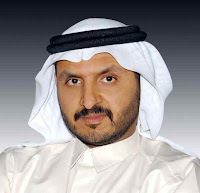 Hussain Nasser Lootah, Director General of Dubai Municipality, in the presence of the UAE Minister of Environment and Water, Dr. Rashid Ahmed Bin Fahd, will open today (Tue, 27 Oct) the 4-day voluntary massive clean-up drive in Dubai that will see nearly 22,000 volunteers joining hands to drive home the green message. The campaign, which is observed this year under the banner “Communities Uniting to Clean up and Conserve the Environment,” is held from 27 to 30 October at various sites across the emirate. Hassan Makki, Director of Waste Management Department at the Municipality, said the campaign, which is organized for the 16th consecutive year by the Municipality, is the largest volunteer clean up drive in the country in terms of participation and collection of waste. He said the opening day event, which will begin at 10am at the Parking Area of Mamzar Park, will also include environment-themed stage presentation by school students, signing an agreement on collecting religious publications and newspapers from mosques, launch of a campaign on avoiding throwing cigarette butts on public places, recreation programmes for students through workshops, environment painting competition for school students, clean up activities at the Fishermen's Village and honouring and distribution of certificates and souvenirs to the participants. The second day’s (Wednesday, 28 October) activities, to be held at Al Mamzar area, will include clean up by volunteers from government educational institutions. The programme will include distribution of litter bins to schools, abandoned vehicles removal campaign in coordination with the operations unit and honouring participants and distribution of certificates and souvenirs. On the third day (Thursday, 29 October), volunteers from private schools, colleges, and universities will participate in the clean up programme at Al Sufooh. Also on this day, a competition will be held on can collection for private schools, in addition to undertaking pest control activities, workshops on pest at all waste bins in coordination with the operations unit and honouring participants and distribution of certificates and souvenirs. The last day of the campaign (Friday, 30 October) will see thousands of volunteers from the general public including private company staff, non-governmental organizations, community groups and private entities joining hands in cleaning up Nadd Al Shiba Area. Also on Friday, a clean up programme will be organized by the Filipino community and employees of Dnata at Mamzar Beach. The awareness programmes, organized on the sidelines of the campaign at one of the shopping malls, include workshops for general public on recycling and reducing waste, environmental painting, Municipality Souq for plastic bags, environmental workshops on making usable materials from waste, distribution of saplings to public to encourage horticulture and its role in curbing climate change, and distribution of awareness publications. The educational programmes for schools include broadcasting campaign programmes on school radios, lectures and workshops for school students on the importance of waste reduction, arranging visits for students to waste recycling factories and natural sanctuaries in the emirate of Dubai, comprehensive educational programme for schools on the role of waste reduction in protecting the environment and curbing the phenomenon of climate change and waste recycling competition for schools and public. The Municipality's Environmental Awareness Section will organize special awareness programmes for Dubai Municipality staff. The programmes include inviting employees to participate in tree plantation campaign in different areas in coordination with the Public Parks and Horticulture Department, campaign for used materials collection from employees for distributing them to the needy among the employees, email contest, announcement on the occasion and its activities, providing information on the occasion through email, sending SMS to Municipality mobile users and placing the campaign theme on the PCs in the Municipality. The main areas for clean up activities will be Nadd Al Shiba, desert area in Wadi al Amradi, bachelor accommodation areas in Al Quoz, Nadd Al Hamr, Al Khawaneej, Al Aweer area behind Defence Camp, Al Qusais Labour Camp and Ras Al Khor Natural Sanctuary. Other areas include Jaddaf Fishermen's Village, Jumeirah-1 Fishermen's Village, Heritage Village area, Jumeirah and Umm Suqeim open beaches, Hatta Tourist areas, Industrial areas, Jebel Ali Port Free Zone area, Diving Beach and Creek, and labour camps. A photography competition will also be conducted on the occasion in coordination with FPGL establishment. Some 22,000 high-quality T-shirts and more than 15,000 caps, printed with the campaign’s logo, will be distributed among the volunteers. The event is supported by Zenath Recycling & Waste Management LLC, Gulf Eternit Industries LLC, Grand Hyatt Dubai, Gulf & Safa Dairies LLC, Western Union, Union Paper Mills, British American Tobacco, Dubal, Alpha Emirates, Dulsco, Al Ain Water, Abela & Co, Fujeirah Plastic Industries, TCS Express, and Trashco. Dubai, October 25, 2009: Aramex (DFM: ARMX), the global logistics solutions provider, announced today its financial results for the three months ending September 30, 2009. The company declared a net profit of AED 41.7 million for the period, an increase of 23 per cent compared to AED 33.9 million in the corresponding period of 2008. Revenues for the third quarter of this year stood at AED 487.6 million, a decline of 11 per cent compared to AED 545.7 million in the same period last year. Net profit for the first nine months of 2009 climbed 24 per cent to AED 134.8 million, compared to AED 108.5 million for the same period in 2008. The decrease in the company’s revenues was primarily a result of a marked reduction in global freight forwarding activity, resulting in a decline of 20 per cent in freight revenues across the network. Third quarter revenues were also negatively impacted by the extended number of public holidays and reduced business hours, including those on account of Ramadan and Eid holidays in the Middle East and North Africa region during the period. The financial results announced today by Aramex are in line with company expectations, and are reflective of similar trends in the first two quarters of this year. “In spite of the extremely challenging economic conditions that have prevailed during the first nine months of this year, impacting growth in our revenues, we have consistently announced double-digit increases in our net income quarter after quarter,” said Fadi Ghandour, Founder and CEO of Aramex. “This consistency is testament to the resilience and flexibility of our asset-light business model, and the entrepreneurial and innovative thinking of our people. DUBAI, U.A.E., 26th October 2009 - Emirates' 18th destination in Africa, oil-rich Angola, came on stream yesterday with the launch of flights to Luanda. Amongst the VIP delegation joining the inaugural flight from Dubai were Nigel Page, Emirates' Senior Vice President, Commercial Operations, Americas & Africa; Rui Mangueira, the Angolan Ambassador to the UAE; Julio Maiato, Angola's Consul General in Dubai and Salah Sharaf, Director General, Sharaf Group. The three times a week service means Emirates now serves Africa's two biggest oil exporters. The award winning carrier has been serving Nigeria since 2004 and went double daily to Lagos in February. The new non-stop air-link also comes at a time of aggressive trade growth between Dubai and Angola. In 2004, non-oil trade between the two places was around AED 235 million (64 million US dollars), according to statistics from Dubai World, the Dubai government's investment arm. Last year that figure had leapt to more than AED 2.9 billion (800 million US dollars), reflecting explosive growth of more than 1,200 percent. Angola's Transport Minister, Augusto da Silva Tomás, said: "In a global world, where physical distances still exist, a flight connection between two steady developing countries enhances the potential for growth of both nations. The reputation of Emirates and the preference of Angola as one of the main destinations in Africa, demonstrates the enormous interest Angola is provoking worldwide." An Airbus A330-200 will fly to Luanda on a Tuesday, Thursday and Sunday. Arranged in a three class configuration, EK 791 will leave Dubai at 1000hrs and touch down in Luanda at 1510hrs. The return flight, EK792 leaves Luanda at 1800hrs. It lands in Dubai around eight hours later at 0450hrs the following day. Nigel Page, Emirates' Senior Vice President, Commercial Operations, Americas & Africa, said: "This is a key moment for Emirates in Africa. I want to thank the Angolan authorities in both the UAE and Angola f or the assistance they have provided. Without their support, this new service would not have been possible. We'd also like to thank the hundreds of travellers who have already booked to travel with us. Our first flight from Dubai was almost full, which added to the great atmosphere on board as we headed towards our 18th point in Africa." Angola is around five times the size of the UK and lies on the Atlantic coast of south-central Africa. It's the continent's second largest oil exporter after Nigeria. The new route will help support the nation's oil-led boom, emerging tourism market and heavy migrant worker traffic. The country has four major ports along an expansive coastline and abundant natural resources. Apart from oil, they include diamonds, gold, iron, copper and uranium.Luanda is the second African destination to be launched by Emirates this month. Flights to the FIFA 2010 World Cup host city of Durban began on October 1st. Sharjah, October 26, 2009: Building on ‘Because We Care,’ an initiative of Sharjah Museums Department (SMD), Sharjah Aquarium and Sharjah Maritime Museum have partnered in a global ocean conservation initiative by providing valuable insight on marine pollution to the Ocean Conservancy – Start a Sea Change programme. SMD joined over 400,000 volunteers globally in 104 countries to evaluate the state of marine debris and thus create a compelling snapshot of global marine pollution. As part of the initiative, SMD had organised the Al Khan Beach Cleanup Campaign, which collected 350 plastic bags and almost 1.5 tonnes of rubbish. More than 1000 volunteers including members of government establishments and non-governmental organizations participated in the event. “The Conservancy’s report A Rising Tide of Ocean Debris sheds light on the impacts of ocean trash on wildlife and its connection to the challenge of global climate change. Its Marine Debris Index provides a roadmap for eliminating marine debris altogether by reducing it at the source and changing behaviours that cause it – two objectives of our cleanup campaign,” said Khawla Almuhrizi, Curator of Sharjah Maritime Museum. “With knowledge on the components of marine debris, decision makers can make informed policy decisions that will eventually lead to managing marine and environmental pollution,” added Almuhrizi. The cleanup campaign included recycling and drawing workshops for children. Families that collected unusual pieces of rubbish or the most rubbish were rewarded. Some of the unusual rubbish collected included a sofa picked up by the Scouts, a pink elephant and a sleeping bag collected from the seabed by Scuba divers. Sharjah Museums Department honoured Bee’ah, the main sponsor of the campaign, and other sponsors such as Sharjah Municipality, Sharjah Co-Op, Sharjah Television, Sharjah Islamic Bank, Abu Dhabi Islamic Bank, Masafi and Sammach. The Sharjah Museums Department, established in 2006 by His Highness Dr. Sheikh Sultan Bin Mohammed Al Qasimi, Member of Supreme Council and Ruler of Sharjah, aims to promote the emirate’s rich legacy of arts, heritage and culture. For more information on Sharjah Museums Department, please visit the website http://www.sharjahmuseums.ae/. Dubai, October 26, 2009: More than 43 films from the Gulf states, including 20 made in the UAE, will be screened to thousands of movie enthusiasts in Europe, Asia, Australia and Africa this year, thanks to the Gulf Film Festival (GFF). The Dubai-based annual cinema event, which offers filmmakers from Bahrain, Kuwait, Oman, Qatar, Iraq, Yemen, Saudi Arabia and the UAE a dedicated platform, completed its second edition earlier this year. Film festivals around the world, from the Zanzibar International Film Festival in Tanzania, the Ahmedabad International Film Festival in India to the upcoming Asia Pacific Screen Awards in Australia’s Gold Coas t, have included significant numbers of GFF films in their repertoire for 2009. In the last two months alone, 43 films from the Gulf Film Festival have screened at global festivals. The festival, Al Ali added, will continue to champion Gulf talent across the region and around the world. GFF, for example, is this year the official GCC nomination body for the Asia Pacific Screen Awards, one of the most prestigious cinema events in the southern hemisphere. APSA collaborates with UNESCO, CNN and the International Federation of Film Producers International to honour and promote the films, actors, directors and cultures from more than 70 countries in the Asia-Pacific region. GFF is sending six Gulf films to APSA 2009, which will be held on November 26 at Australia’s Gold Coast. Some of the UAE films featured in GFF are: ‘The Circle’, ‘Henna’, ‘Baab’ (Door), ‘The Sound of Life’, ‘Only A Beginning’, ‘Young Sadness’, ‘The Half Heart’, ‘Finding Mr. and Mrs. Right’, ‘Amal’s Cloud’, ‘Bint Mariam’, ‘Mountain Sheikh’, ‘Bint Al Nokhitha’, ‘Paradise Evening’, ‘Tenbak’, and ‘Wedad’. The GCC films will also participate in Spain’s International Euro Arab Film Festival (AMAL 2009) in October. Closer to home, GFF will also screen a selection of films at the Al Ain Municipality, and participate in the Beirut International Film Festival and the Beirut International Documentary Festival later this year. The Gulf Film Festival, held under the patronage of His Highness Sheikh Majid bin Mohammed bin Rashid al Maktoum, Chairman of the Dubai Culture & Arts Authority, screened a total of 169 films from 32 countries around the GCC and other countries last April. The festival comprised 47 world premieres and 18 international premieres, and screened eight feature narrative films, 27 documentaries, 106 short fiction selections, and 28 animation films. In addition to films from the region, GFF 2009 also showcased films from India, Italy, France, Belgium, Netherlands, Russia, Switzerland, Denmark, Canada, USA, Germany amongst many others in its international programming. Dubai, October 22, 2009: Etisalat today launched a new plan called Unlimited STD plan to offer significant reduction in voice calls for businesses. The Unlimited STD plan will be offered to customers using ISDN PRI(Primary Rate Interface) services as well as regular business landlines. The ISDN PRI service from Etisalat is used to make multiple inbound and outbound voice calls. Etisalat ‘s Unlimited STD plan for its ISDN PRI customers will give unlimited talk time 24 x7 within UAE for only AED 39/month/channel for 10 Channels, AED 34/month/channel for 20 Channels and AED 29/month/channel for 30 Channels. National calls which were earlier being charged will now be totally free allowing businesses to talk at ease without worrying about their expenses. Furthermore, subscribers will enjoy off peak rates throughout the day on 24 x 7 basis and additional 10% discount on their International spend across all countries. This will translate into a 45% discount for all international calls . Etisalat ‘s Unlimited STD plan for its Business landlines customers will offer unlimited talk time 24x7 for only AED 19/month/line from Fixed to Fixed Line within UAE. National calls will now be completely free. Today, business landline customers enjoy a 24x7 offpeak in addition to which they will now also enjoy a 10% discount on International calls added to the savings. Enterprise and business customers with multiple branches can subscribe for these plans. For details on subscription , they can contact their respective account managers. Dubai, UAE; October 22, 2009: Emaar Properties PJSC, the Dubai-based global property developer, has recorded revenues of AED 5,429 million (US$ 1,478 million) in the first nine months of 2009, led by its strategy of strengthening customer-oriented initiatives to support property purchases and a commitment to project delivery. Net operating profits for the same period stood at AED 1,401 million (US$ 381 million). Third quarter (July to September) 2009 revenue reached AED 1,948 million (US$ 530 million), comparable to second quarter revenue of AED 1,940 million (US$ 528 million). Net operating profit for the same period reached AED 655 million (US$ 178 million), an increase of 48 percent as compared to the second quarter operating profit of AED 442 million (US$ 120 million). Third quarter net operating profit has also increased by 53 percent as compared to profit in same period in 2008 of AED 428 million (US$ 117 million). The increase in profitability is due to the higher margin relating to Alma townhomes in Arabian Ranches handed over during the third quarter. The townhomes were handed over ahead of its scheduled delivery demonstrating Emaar’s commitment to project deliveries. Mr Mohamed Alabbar, Chairman, Emaar Properties, said the focus of the company for the first nine months of the year has been on completing announced projects and strengthening customer relationships. “Emaar successfully worked with its contractors and suppliers to achieve the project completion schedules as well as launched customer-oriented initiatives that have helped strengthen investor confidence,” he said. “Today, there are clear signals of real estate prices gaining momentum in premium areas such as Downtown Burj Dubai, our flagship mega-project, which is today Dubai’s definitive new lifestyle destination. Our approach of developing integrated neighbourhoods has also succeeded in creating new growth engines that contribute to the overall growth of Dubai,” explained Mr Alabbar. Continuing the trend of completing projects and handing over homes, Emaar opened The Address Dubai Mall, a new 5-star premium hotel in Downtown Burj Dubai in the third quarter of 2009. This also underscores the company’s strategy of diversifying into synergistic sectors such as hospitality, which is led by its successful hotel brand, The Address Hotels + Resorts. Emaar’s premier mall development, The Dubai Mall, crossed the 1,000 store mark, and features flagship stores and the Middle East debuts of a range of global brands. The mall has already achieved an impressive footfall of 30 million visitors to date, driven also by the opening of its new entertainment precinct featuring SEGA Republic, the Middle East’s largest and first of its kind theme park; and Reel Cinemas, Dubai’s largest megaplex, both of which opened in the third-quarter of 2009. Also in Downtown Burj Dubai, Emaar’s healthcare subsidiary, Emaar Healthcare Group, opened its first medical centre, The Dubai Mall Medical Centre, which is the largest out-patient facility in the region, managed by Methodist International, a US-based premier healthcare provider. Emaar also handed over ahead of schedule several villas and townhomes in Arabian Ranches and is now delivering homes in Burj Views in Downtown Burj Dubai. This complements the global delivery schedule of homes in Tuscan Valley Houses in Turkey and Mirador Villas in Canyon Views, a master-planned community in Islamabad, Pakistan. Emaar also completed the Marassi Beach Clubhouse, an integral component of its master-planned resort project, Marassi, in Sidi Abdel Rahman region, Egypt. The beach clubhouse, which opened in the summer of this year, attracted several hundred visitors to the region, driving domestic tourism. In other key international development plans, Emaar signed a management agreement to develop BeitMisk, a master-planned community in Lebanon, set in the Northern Metn region. In Jordan, Emaar unveiled the second phase of The Apartments, a series of Mediterranean-style low-rise towers in Samarah Dead Sea Resort, the company’s pioneering master-planned community in the Kingdom. Emaar enters a new phase in its growth in the last quarter of this year, as it moves closer to the opening of Burj Dubai, the world’s tallest building. The mixed-use tower features homes, corporate offices, the world’s first Armani Hotel Dubai and Armani Residences and At The Top, a public observatory that will be the highest in the world. Emaar has also completed the cladding work of Burj Dubai, with interior work progressing. In other growth initiatives, the company’s joint venture in India, Emaar MGF Land Limited has filed its Draft Red Herring Prospectus with the Securities and Exchange Board of India to enter the capital market with an initial public offering of AED 2,938 million (INR38,500 million; US$ 800 million). The proposed consolidation of Emaar with the real estate businesses of Dubai Holding, to create one of the largest real estate companies in the world, is also progressing. Dubai, October 22,2009: At Gitex Technology Week 2009, Etisalat today announced that it was demonstrating its Managed SSL VPN (Virtual Private Network) service which will provide a secure remote access service for end-users with easy access to the corporate/office LAN network from a standard Internet connection. The service is ideal for remote users who need to retrieve email and access corporate resources and applications or for executives who need to use web-based Intranet applications from public PCs. Companies will be able to deploy scalable, cost-effective remote access solutions based on Juniper Networks market-leading SA Series SSL VPN appliances.. The use of SSL (Secure Socket Layer) is ideal for remote access because an SSL VPN only requires Internet access through a standard browser and a corporate username and password for full authorized access to any resources on a corporate LAN. This means that a user can use any available device to gain secure access, not just their own device. The service can be used with any kind of Internet connection starting from a dial-up, mobile device, cable, wireless and all the way to a corporate LAN. It’s very simple to set up and can be fully integrated into a company’s network environment with monitoring and reporting. For growing businesses, the service is ideal for remote access because of its scalable nature with the added benefit of no major capital investment. The service also features internationally accepted industry security standards to safeguard user data. Etisalat will offer 4 levels of subscription based on numbers of registered remote users to satisfy different market requirements and starts with 5 (minimum) registered users. This latest initiative is in line with Etisalat’s commitment to provide the most advanced technology solutions. Globally, SSL VPNs are a popular means to provide remote access in customer environments. Granular access control is one of SSL VPN’s most compelling characteristics, depending on the underlying technology. High-performance SSL VPNs can custom-tailor each remote worker’s access to individual applications and corporate resources, and a health-check of the device made before and during each session (for example, an end-user’s anti-virus scanner can be checked for the most up-to-date signatures before access is granted). Different access rights can also be granted to different end-users (or even different rights for the same end-user, depending on the device being used and the resources being accessed) and companies can limit what users have access, all of which makes it easier for companies to comply with corporate security policies. For more information, customers can call their Etisalat Account Manager. Dubai, October 22, 2009: The Community Development Authority (CDA) in Dubai has launched an awareness campaign on H1N1 virus and the flu epidemic under the slogan “My Hand is Clean”. The campaign in Hatta is organized by volunteers in the locality and aims at spreading awareness of the dangers of the disease. The campaign calls for the prevention of swine flu by educating individuals on the importance of washing hands with soap and water before and after contact with eyes, nose and mouth. It also emphasises on practicing good health habits such as drinking water in sufficient quantities throughout the day and sleeping at regular times, in addition to eating nutritious food to strengthen the immune system and reduce chance of infection. “The campaign coincides with other campaigns in various regions of Dubai to raise awareness and educate the public about swine flu and the procedures to be followed to prevent and reduce the possibility of its spreading,” added Al Muhairi. As part of the “My Hand is Clean” campaign tissue boxes and sterile materials were collected from Khadija Bint Khuwaylid School and Hatta Emirates Cooperative for distribution to schools in Hatta. The campaign also focuses on how to deal with people who are H1N1 infected and the procedures to follow to treat them. Other aspects include personal hygiene, cleanliness of personal belongings, personal use of tissues and the attention to leave the bins closed. Eisa Mohamed Rashid, Coordinator of Hatta volunteers, said that the objective of the campaign is to encourage Hatta residents to cooperate and spread awareness on H1N1 and adequate health & safety measures. Eisa also praised CDA’s efforts in adopting voluntary activities aimed at serving the community. Dubai, U.A.E., October 22nd, 2009 - Mercator, the Dubai-based IT division of the Emirates Group, teamed up with Microsoft at GITEX 2009 this week. Head of Mercator, Patrick Naef, addressed an audience during the opening keynote speech at GITEX to discuss the adoption of Windows 7 by the Emirates Group. Mercator is one of only two Middle East and African companies to take part in the Windows 7 Early Adopter Programme and one of 40 companies worldwide. Back in February 2009, Mercator chose to take part in the programme to compliment its own vision of being leader in innovation and latest technology adoption. Following a due diligence exercise in understanding the scope of work and legalities, the technical initiative began in May. What followed was five months of hard work in testing the multitude of applications that make up the Emirates Group in a lab environment. This included anything from ensuring antivirus software worked with the latest updates to Emirates Group corporate applications. Mercator's commitment to proceed with the project, and adopt Microsoft's latest flagship operating system for the Emirates Group, is built on the existing strategic partnership between both companies. In January 2008 Mercator and Microsoft jointly set up an innovation lab in Dubai to develop new products and services for the travel industry using Microsoft’s cutting-edge technologies. At GITEX, Mercator also exhibited on the Microsoft Partner Pavilion to demonstrate applications developed by Mercator using Microsoft Dynamics as a platform and explain how Mercator can provide application development and hosting platforms for Microsoft Dynamics, Exchange and Unified Communications. Mercator recently launched a new service called Mercator Business Technologies which essentially means a single local vendor who can design, source, procure and project manage the deployment of an entire IT infrastructure. This includes infrastructure design services, IT consultancy , IT system auditing and governance, sourcing of hardware, software and infrastructure, project management, software development services, procurement and implementation service, data centre hosting, call centre services, 24x7 on site or remote support. Dubai, UAE; October 22, 2009: With mortality rate among breast cancer patients in the UAE at 44 percent* compared to only 27 percent in more developed countries, there is an increasing focus on the need for greater awareness around early diagnosis. GE Healthcare is highlighting the need for earlier detection and treatment with its global initiative to mark the 10th anniversary of digital mammography, a technology introduced by GE Healthcare in 1999. Digital mammography replaces the film used in traditional mammography with digital files that can be viewed and stored on computers. The anniversary of digital mammography coincides with the Breast Cancer Awareness Month being celebrated through October, which puts the spotlight on breast cancer in the UAE. According to the UAE National Cancer Registry, the age range of women developing breast cancer is between ages 35 – 54, at least five years earlier than in the US. Cancer is the third leading cause of death in the UAE after cardiovascular disease and accidents** with breast cancer registering at 22.8 percent of all cancers among females. Latest government statistics show that the mortality rate amongst breast cancer patients in the UAE is 44 percent* compared to only 27 percent in more developed countries highlighting the fact that many of those diagnosed in the UAE are not at a curable stage emphasizing the importance of increased awareness and early detection. Around 30 patients, survivors, fundraisers and medical professionals from around the world are the foundation of the first phase of the GE Healthcare’s wall. The company hopes that the wall will grow rapidly and become a global platform for survivors, innovators and charities to share their stories, provide additional information on technology milestones and successes and empower others impacted by breast cancer. “Our initiative shows that breast cancer is indiscriminate. It affects women, and also men, irrespective of their age, nationality and religion. We want people to get involved and share their story. Today, they can do that by clicking the “share” icon on the wall and share their experience, knowledge and hope with others,” said Wendy Harris, Strategic Marketing Leader, Women’s Health at GE Healthcare. “I hope to see it grow rapidly in size to become a definitive hub for empowering stories; how survivors have fought and overcome the disease, as well as profiling the doctors, and scientists who are working tirelessly – often behind the scenes,” said Harris. GE Healthcare has been a leader in the field of breast cancer detection through mammography devices since the 1960s. Today there are approximately 17,700 GE Healthcare mammography systems in use worldwide. In 1999, GE Healthcare was the first company to introduce full-field digital mammography (FFDM). GE Healthcare estimates that since then, more than 40 million examinations have been performed with its diagnostic imaging technologies worldwide. The company has spent 13 years and more than US$100 million developing the full-field digital mammography technology, GE Healthcare Senographe® systems, and continues to invest heavily in new cutting-edge technologies to detect the pathology before the onset. Approximately 3,700 GE Healthcare Senographe® digital systems are currently being used in the world - more than 90 percent of them still work with their original detector, proving its commitment and reliability towards detecting breast cancer. In August this year, healthcare technology research organization KLAS ranked GE Healthcare’s Senographe DS as the best digital mammography system on the US market today, based on a survey of healthcare providers. Through its own research and partnerships with other industry innovators, GE Healthcare is continuing to develop advanced technologies that could help improve detection and reduce unnecessary biopsies in the future, including a magnetic resonance imaging (MRI) system specifically designed for breast imaging and tomosynthesis - currently under clinical investigation - which generates three-dimensional images. DUBAI, U.A.E., 22nd October 2009 - The start of Emirates' flights between Dubai and Luanda reflects the flurry of global interest in Africa's second biggest oil producer, according to an Angolan government minister. Emirates will start a three times a week service to the Angolan capital on Sunday, October 25th, prompting the comments by Angola's Transport Minister, Augusto da Silva Tomás. Mr da Silva Tomas said: "In a global world, where physical distances still exist, a flight connection between two steady developing countries enhances the potential for growth of both nations. The reputation of Emirates and the preference of Angola as one of the main destinations in Africa, demonstrates the enormous interest Angola is provoking worldwide." 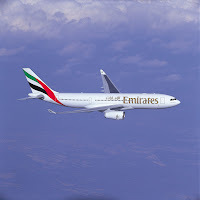 Using an Airbus A330-200 in a three-class configuration, Emirates will fly to Luanda on a Tuesday, Thursday and Sunday. EK 791 will take off from Dubai at 1000hrs and arrive in Luanda at 1510hrs. On the way back, EK792 leaves Luanda at 1800hrs, touching down in Dubai eight hours later at 0450hrs the following day. Nigel Page, Emirates' Senior Vice President, Commercial Operations, Americas & Africa, said: "Africa is such an exciting continent for us and such an important part of the world in terms of world trade. Emirates has demonstrated time and time again that a new air link stimulates business and we look forward to the same happening in Luanda, our 18th destination in Africa and one of only two new routes we have announced this year. This makes our decision to launch the service all the more significant." In July, a delegation from Angola's travel industry came to Dubai as guests of Emirates on a familiarisation trip to learn more about the airline and Dubai in preparation for the new non-stop flight. During the four day visit, representatives were brought to the carrier's purpose built headquarters opposite Terminal 3 and shown some of the city's mega-projects including the Burj Dubai and Palm Jumeirah. In 2004, non-oil trade between Dubai and Angola was around AED 235 million (64 million US dollars), according to statistics from Dubai World, Dubai's government-owned investment company. By 2008, that figure had skyrocketed to more than AED 2.9 billion (800 million US dollars). Luanda is the second new African service to be launched this year by Emirates. Durban, one of the FIFA 2010 host cities, became its third gateway into South Africa on October 1st. Dubai - October 22, 2009:Widescreen technology is everywhere these days, built into virtually every new notebook, desktop monitor and flat-panel TV,1 and Microsoft Hardware sets a new standard for webcams with LifeCam Cinema, the first consumer webcam on the PC to offer widescreen video with a native 720p sensor.2 The timing couldn’t be better, with more and more people going online to share videos with friends and family; in fact, more than 10 million videos are uploaded each month to Facebook alone.3 LifeCam Cinema webcam’s 720p widescreen sensor will deliver clear, quality videos — without leaving anyone out of the shot. LifeCam Cinema was created to deliver an experience like the movies, with great high-definition (HD) video and clear sound. However, life doesn’t happen on a movie set, and most people don’t have a lighting team in their house to make them look camera-ready. In common indoor settings (low-light situations4) Microsoft Corp. is delivering an easy way to show amazing video quality in these scenarios. Maintaining a high frame rate even in the lowest lighting, LifeCam Cinema helps ensure that users look well lit and that video remains smooth. 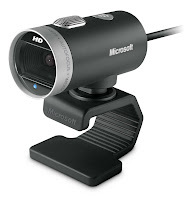 As the only PC consumer webcam on the market today with a native 720p sensor that delivers widescreen video capture at 16:9,2 LifeCam Cinema provides 720p high-definition video and features Auto Focus to keep video sharp from across the room all the way up to 4 inches from the webcam. Also launching with LifeCam Cinema is Microsoft’s ClearFrame Technology, which offers faster image processing technology to help deliver smooth video at any resolution and improved noise reduction technology to reduce image graininess and keep video sharp. 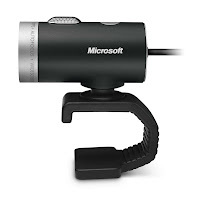 Finally, the LifeCam Cinema webcam’s widescreen technology allows the widest angle of capture ever for a Microsoft webcam, at 74 degrees — no need to worry about leaving anything out of the shot again. DOHA, 21 OCTOBER 2009: Doha has been shortlisted as one of the world’s ‘Ultimate Sports Cities’ of 2009, in a prestigious award from SportBusiness Sports Event Management. Recently, the Qatar 2022 Bid launched its new website (http://www.qatar2022bid.com/), which incorporates its innovative and colourful new brand design. The State of Qatar has made sports one of the key ‘pillars’ in the future development of the country. Doha has several sports stadiums, some of which were renovated in preparation for the highly successful 15th Asian Games in 2006. Al Ain, 21 October, 2009: Figures just released by the nation’s specialist cancer detection and treatment centre suggest that more women are becoming aware of the dangers of breast cancer in the UAE. Over 1,100 women have been screened for breast cancer in mobile units so far this year. In 2008, the nine month figure was less than 200. The campaign has been organized by Tawam Hospital and supported by the Health Authority of Abu Dhabi (HAAD), and SEHA, the Abu Dhabi Health Services Company, which is responsible for the curative activities of all the public hospitals in the Emirate of Abu Dhabi. This year, Tawam Hospital’s BCAC is under the theme ‘Early Detection is your Best Protection’. Fun community-focused activities are also available throughout the month including a world record attempt for the largest ribbon design, where people who attend our 3rd Annual Tawam Hospital ‘Fun Run’, organized by Al Ain Sports and Cultural Club at Al Tuwaya Public Park on Oct 23 will write their thought and comments. Based on the Abu Dhabi Community Profile findings prepared by the global initiative for Breast Cancer Awareness Team at HAAD, Breast Cancer has been identified to be the first of the ten most common cancers in the UAE for national and non-national women and the second cause of death accounting for 28 per cent of all female deaths in the UAE. With notable high incidence and a mortality rate of 44 per cent, due to late diagnosis, breast cancer is the most common cancer in women in the UAE and the leading cause of deaths amongst female malignant diseases. Increased screenings around the UAE will continue throughout October and parts of November. Dubai Municipality has started test driving the first environmentally friendly car run on electric power. The car called REVA, licensed to SS Lootah Company, has been gifted to the Municipality for three days for the employees of the civic body to test drive the vehicle and familiarize with this type of environmentally friendly cars. The car has been parked at the entrance of the main building of the Municipality as part of the civic body's endeavor to spread awareness on environmental conservation and cooperation with its strategic partners. The project named the "Green Car Programme" comes as part of its efforts to achieve the vision of Dubai to reduce all elements of pollution caused by cars and encourage people to use clean energy in addition to enjoy other benefits offered by this car such as safety and calmness during its driving in addition to the material savings as its cost fits people from every strata of the society. REVA, which was launched in the city of Bangalore, India in 2001, works on electric power using batteries. Once fully charged, it can run up to about 80kms. The time for full charge is eight hours, and eighty percent could be achieved in no more than two hours and half with the use of any electrical source. The car can run up to 80 km/hr. REVA is also much quieter than the conventional car with minimized local noise pollution. It is a safe, light-weight car with full comfort because it is small in size this will allow easy movement on the roads and do not face problems in finding a parking. Dubai, UAE; October 21, 2009: Emaar Retail has partnered with HSBC as the exclusive financial institution operating in KidZania®, the children’s edutainment centre, soon to open at The Dubai Mall. A unique concept, where a city has been scaled down to size for children featuring real-life business establishments, functions and even its own currency, KidZania’s® ‘banking’ edutainment will be provided through HSBC. Upon entering the city of KidZania® through the airport-style check-in desks and X-Ray machines – simulating the real-life environment of Emirates airline - a child’s first activity will be to acquire cash, which will allow them to participate in the various attractions within the mini-city. Provided with a 50 KidZos cheque upon check-in, children will have to head straight for the HSBC bank establishment inside KidZania®, and cash it in for the official currency, KidZos, or they can even opt for an ATM card. KidZos can then be spent on buying products and services available throughout the 80,000 square foot mini city. Once a child runs out of KidZos by participating in various activities, they will have to choose from over 70 professions and “work” in these establishments to earn more KidZos. At the end of their visit, any KidZos left over can be saved in the child’s account until their next visit. The banking experience is so authentic that children can actually earn interest on their KidZos deposited into the account. KidZania® will also feature an airport, offices, university, a fire station, race track, radio station, pizzeria, hospitals, theatre and fashion ramps amongst others, all scaled down to a smaller, child-friendly size. KidZania® is one of the three new leisure attractions at The Dubai Mall, the world’s largest shopping and entertainment destination. SEGA Republic, the 76,000 sq ft indoor theme park; and the 22-screen Reel Cinemas with a seating capacity of up to 2,800 seats, are already open. Dubai, 21 October 2009: Nearly 22,000 volunteers will take part next week in the country's largest voluntary clean up drive, which will also include several awareness initiatives aimed at reducing waste and encouraging the public to reuse or recycle. Clean Up the World 2009, which is observed under the banner: “Communities Uniting to Clean up and Conserve the Environment,” is held from 27 to 30 October. Dubai Municipality has unveiled the campaign's activities in a press conference on Wednesday at Grand Hyatt attended by Eng. 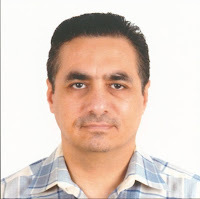 Hassan Makki, Director of Waste Management Department and Eng. Yaqoob Al Ali, Coordinator of the campaign. Also present were representatives of the event's sponsors including Wadih Boustani, General Manager for Sales and Marketing at Gulf Eternit Industries, Mahmood Sait, Account Manager, Zenath Recycling & Waste Management LLC of ETA ASCON Group, Ahmed Hussain, Environment Manager, Dubal, and Paul J Murphy, Director of Events, Grand Hyatt. “Dubai Municipality is committed to improve public cleanliness in the emirate in cooperation with individuals, government establishments, private firms and non-governmental organizations through effective participation,” said Mr. Makki. He noted that it is the 16th consecutive year that Dubai is organizing the campaign which has such noble objectives as forging a sense of mutual cooperation among organizations and institutions concerned with environment in planning and executing environment action programmes, enhancing environment awareness of the community on waste reduction and recycling issues, ensuring participation of institutions and individuals in environment programmes, cleaning up the local environment, and encouraging team-work in finding lasting solutions for the growing waste problem. “The campaign also seeks to encourage media to focus on environment protection activities thereby enhancing awareness of governments and industries with regard to local environment issues such as waste reduction, recycling and safe disposal of waste,” said Makki. He said the Waste Management Department has lined up a host of activities for the opening of the campaign on 27 October. Makki also thanked the sponsors of the campaign, Al Naboodah Group, Al Habtoor Group, ETA, Gulf Eternit Industries, Grand Hyatt, adding that these contributions and participations showcase the spirit of cooperation between the public and private sector in the country in achieving success to the environmental awareness activities organized by Dubai Municipality. He said the Municipality has been actively participating in this world initiative since 1994. "In the beginning it was only 200 people who participated in the campaign, however, last year the number reached 20,500 represented by different categories of the society, organizations, establishments, government bodies and individuals," he said. Preparations for the clean up are already under way with the Municipality trying to facilitate an even greater level of participation than last year. In 2008 4,150 tonnes of waste including debris and abandoned vehicle was removed from various areas. Shedding light on various activities of the campaign, Yaqoob Al Ali, campaign coordinator, said apart from Dubai Municipality, several government departments, NGOs, and voluntary organizations are participating in this year’s campaign. The official launch of the event will be held on Tuesday 27 October 2009 at Al Mamzar Corniche with senior government officials and representatives of the sponsors attending. The opening day event, which will begin at 10am, will also include signing an agreement on collecting religious publications and newspapers from mosques, launch of a campaign on avoiding throwing cigarette butts on public places, environment-themed stage presentation by school students, recreation programmes for students through workshops, most beautiful painting competition for school students, clean up activities at the Fishermen's Village and honouring and distribution of certificates and souvenirs to the participants. The Environment and Health Awareness Section will organize special awareness programmes for Dubai Municipality staff. The programmes include inviting employees to participate in tree plantation campaign in different areas in coordination with the Public Parks and Horticulture Department, campaign for used materials collection from employees for distributing them to the needy among the employees, email contest, announcement on the occasion and its activities, providing information on the occasion through email, sending SMS to Municipality mobile users and placing the campaign theme on the PCs in the Municipality. A photography competition will also be conducted on the occasion in coordination with FPGL establishment. A closing ceremony will be held at Hotel Grand Hyatt on 14 November 2009. Some 22,000 high-quality T-shirts and more than 15,000 caps, printed with the campaign’s logo, will be distributed among the volunteers. The sponsors of the event include Zenath Recycling & Waste Management LLC, Gulf Eternit Industries LLC, Grand Hyatt Dubai, Gulf & Safa Dairies LLC, Western Union, Union Paper Mills, British American Tobacco, Dubal, Alpha Emirates, Dulsco, Al Ain Water, Abela & Co, Fujeirah Plastic Industries, TCS Express, and Trashco. The Clean Up the World campaign originated in Australia and was the brainchild of Ian Kiernan who organized a clean up of Sydney harbour in 1989. He was moved by the significant amount of marine litter that he noticed while sailing in the BOC Challenge solo around-the-world race in 1987. Encouraged by the harbour clean up in which 40,000 people participated, he organized Clean Up Australia Day the following year. In 1993, with support and funding from the United Nations Environment Program (UNEP) and the California based EGBAR foundation, Clean Up the World was launched with 30 million people from 80 countries participating in the first clean-up. Since then it has been held every year and has not stopped growing.